A group fighting a 20-year legal battle is now employing a new tactic. 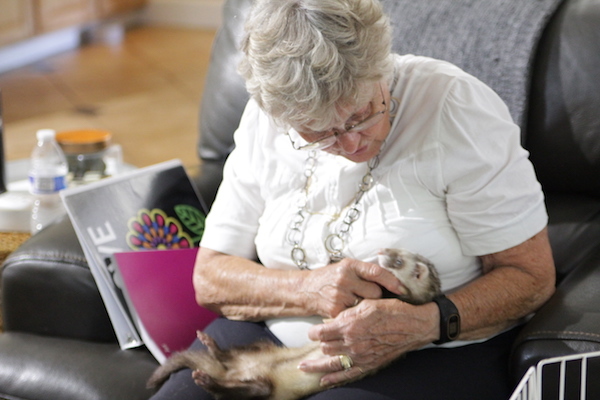 “Legalize Ferrets,” founded by La Mesa resident Pat Wright, still has the ultimate goal of having ferrets as legal domestic pets in the state of California — but now they are working with council members to declare the city of La Mesa a “ferret-friendly” or “ferret sanctuary” city. The Mustelidae or mustelids family of animals was first banned in California in 1933. The species family of fur-bearing carnivores includes ferrets, weasels, otters, badgers and polecats, according to Brittanica. 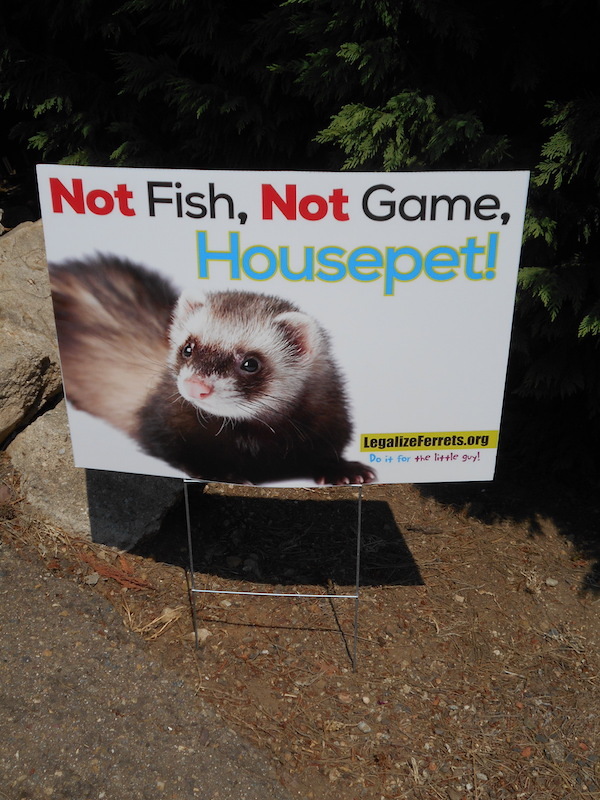 Ferrets remain on the restricted species list, pursuant to Fish and Game Code Section 2118 and California Code of Regulations Title 14, Section 671. Within Section 671, ferrets are further designated as “detrimental animals.” California and Hawaii are the only two states that still ban ferrets from domestic ownership (in fact, Legalize Ferret supporter Tyler Jernigan, who is out in San Diego for flight school for the summer, said his girlfriend stayed in South Carolina 90 percent due to the fact that she couldn’t move her ferret out here). Erin Chappell, wildlife supervisor of the California Fish and Game Commission, said those regulations exist because animals like ferrets pose a threat to native wildlife, the agricultural interests of the state, or to public health and safety. She explained those laws and regulations are intended to prevent depletion of animals in the wild and to restrict animals that pose a threat to native wildlife, agriculture, and public health and safety. However, the Center for Disease Control, the Humane Society of the United States, and U.S. Department of Agriculture all classify ferrets as domestic animals, linking them with pets like dogs and cats. According to a study done by the California State University in 2010, no state has reported a major detrimental impact on agri-business by ferrets or from having a feral ferret population. 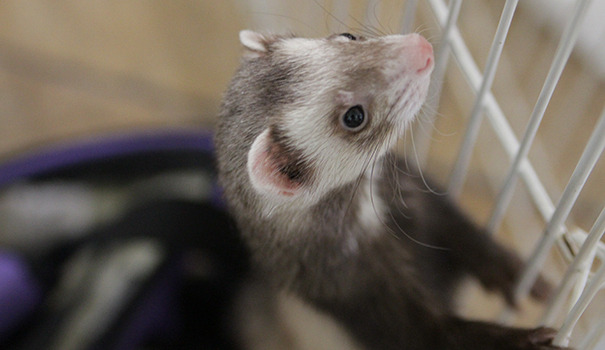 In California, permits are allowed for qualified businesses like zoos and research laboratories to keep ferrets; however, individuals are not permitted to own them. Currently, a possessor of ferrets could be fined and have their animal confiscated (although ferret owner Megan Mitchell noted that many California regions operate under a ‘don’t ask, don’t tell’ policy). To get the ferrets off the restricted species list would require one of three things — the California Fish and Game Commission to amend the code, the California Legislature to remove ferrets from the list through a bill, or for a ballot initiative to be passed by California voters. Legalize Ferrets has tried all of these routes. From 1994 to 1999, four different bills to legalize ferrets were introduced in the legislature. In 2004, SB89 actually made it to the floor, but was vetoed by then Governor Schwarzenegger on the last day (ironically, Schwarzenegger worked with a ferret in the film “Kindergarten Cop.”) Since then, no legislator has picked the cause back up. In 2015, Legalize Ferrets launched a ballot initiative, and collected 10,000 signatures — but they needed 91,470 to trigger a legislative hearing. Starting in the mid-1990s, the group has advocated for regulation changes at the California Fish and Game Commission public hearings. But as recently as April of this year, the commission refused to move ferrets off the restricted species list. Chappell’s memo to the commission, written with the legal counsel of Mike Yaun, recommended this course of action. To move the species into non-restricted territory would first require an environmental impact report. The staff recommendation to the commission was to deny the petition to remove ferrets from the restricted species list, and if the commission wanted to move forward, establish a “contract selection process” and proceed with a “petitioner-funded” EIR. The commission chose to let the issue drop. But the Legalize Ferrets organizers have not been deterred. Wright connected with his neighbors, Alessio and Baber, and have introduced them to a region of ferret lovers. Somebody like Mary Abbott, who after being around the ferrets belonging to Legalize Ferrets’ friends, has a new perspective. Nick Scofield, who was introduced to the species when he married Mitchell, also had a conversion experience. Scofield and Mitchell run a similar organization in the Los Angeles area called “Angel City Ferrets,” and refer to Wright as the figurehead of the legalization movement in California. “He’s put so much effort into this cause,” Scofield said. And Wright is still going full bore. 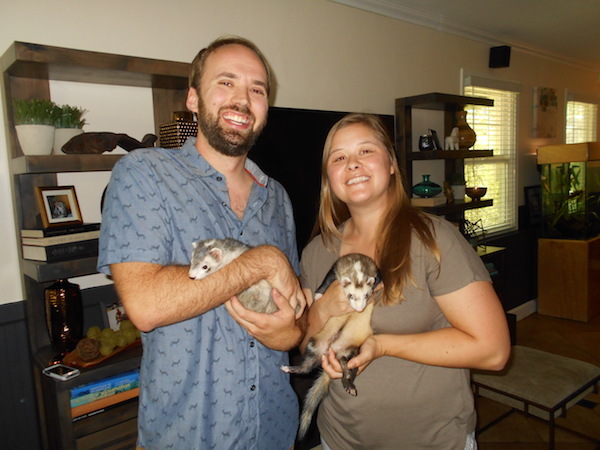 His next step is to create a petition to present to the La Mesa City Council, along with video interviews asking Mayor Arapostathis to support the idea of a ferret-friendly or sanctuary city. Then it’s back to the capitol. For more information or to get involved, visit legalizeferrets.org or call 619-303-0645. Please legalize ferrets in La Mesa – it’s way, way beyond time to.do away with an ultra-antiquated law! I guess my question (as it always has been) to Erin Chappell, wildlife supervisor of the California Fish and Game Commission – would be how a spayed/neutered domesticated animal is going to deplete your present list of wild species? MY ferrets cannot reproduce, and are so far removed from their “wild” origins that they will either succumb to starvation or be eaten if they escape capacity. One of the largest flyways/breeding areas for waterfowl is in our backyard here in upstate NY and I believe there is more of a over population of water fowl versus a shortage ! Let’s see some facts from that department before they continue to pass judgement without them. That’s all I’m asking.